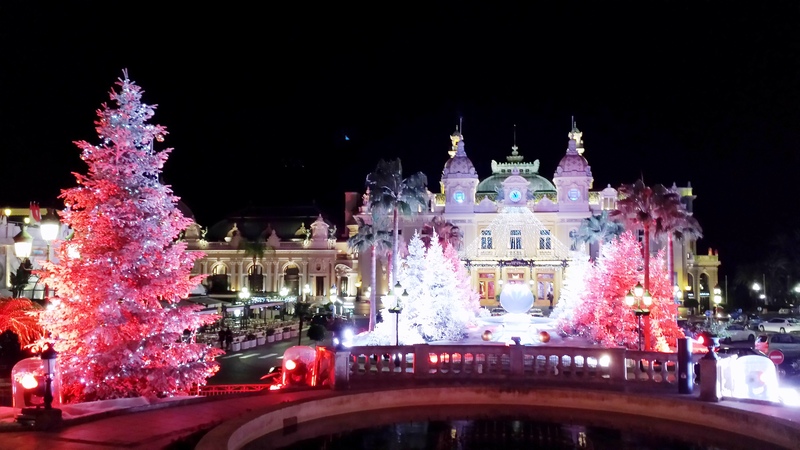 This entry was posted in General musings and tagged 2014, casino, christmas, french riviera, french riviera blog, Monaco, montecarlo. Bookmark the permalink. A Merry Christmas to you and a Happy, healthy New Year ! I like the picture of the Casino Square. It looks a bit magical ! I have been to Monaco but never in December. What do you like the most, in Monaco, at this time of the year ? Yes, the Casino square is magical at this time of year, especially on 31 December when all the revellers come out and enjoy the free concert held in front of the casino and pop open their bottles of champagne or pro secco (as there are plenty of Italians). Apart from the Casino Square, there’s a nice Xmas market on the harbour, plenty of shopping opportunities notably at the Metropole shopping centre and obviously some beautiful weather if you are lucky (this Xmas the weather has been absolutely stunning, with clear blue skies the whole time) – and my favourite thing is just walking along the coast on a chilly but sunny day and enjoying the scenery as December has some of the best light of the year.